Since last newsletter the ATW 2016 and Eucass 2017 announcements have been published. We encourage our readers to visit the webpages linked above to find more. A brief reminder of the specificity of each event will be presented below for your convenience. The usual brief review and characterization of interesting papers published since last newsletter is present, as well an example of some interesting patents applications in the field of UAVs, a sector in full expansion with interesting opportunities. The 2016 AEROSPACE THEMATIC WORKSHOP on "Fundamentals of of Collisions of Fast Particles with Surfaces" will take place during the week of 11-16 September 2016 at the well known CNRS Conference Centre Paul Langevin, Aussois, at the heart of the beautiful French Alps. This is the very first conference of its kind, in a consecrated series dedicated to the fundamental issues of scientific disciplines relevant to aeronautics and space. Participants to the previous editions of the workshops have already received an announcement. You can visit the event webpage here. In the tradition of biannual conferences, the 7th EUCASS conference has been announced and the official website is avaliable at www.eucass2017.eu. The conference will be hosted by the Politecnico di Milano at the Campus Bovisa which is located at 20mn from the historical city center and well served by public transport. The conference will be coordinated with that of partner association CEAS which is scheduled in Bucharest (see here). Among others, joint sessions will be organised. We do not need to remind to our readers that EUCASS is the high-level forum for all aeronautics and space research players in Greater Europe, including Russia. It is dedicated to the promotion of enabling sciences and technologies. It is also the place where scientists can gain a comprehensive picture of European accomplishments. EUCASS is the natural venue for decision makers as well as an opportunity for young scientists to meet their peers and the industry leaders. You'll find all furtther informations at event website reminded above. Alekseenko, S. V. and Borodulin, V. Yu. and Gnatus, N. A. and Nizovtsev, M. I. and Smirnova, N. N.
Kuznetsov, G. V. and Feoktistov, D. V. and Orlova, E. G.
Makarov, M. S. and Makarova, S. N.
Guelailia, A. and Khorsi, A. and Hamidou, M. K.
Vaganov, A. V. and Ermolaev, Yu. G. and Kolosov, G. L. and Kosinov, A. D. and Panina, A. V. and Semionov, N. V. and Yatskikh, A. A.
Mazhul, I. I. and Volkov, V. F. and Zvegintsev, V. I. and Ivanov, I. V.
Voropaeva, O. F. and Chernykh, G. G.
Yongsiri, K. and Thianpong, C. and Nanan, K. and Eiamsa-ard, S.
Bocharov, O. B. and Kushnir, D. Yu. Kishan, N. and Jagadha, S.
Volokitin, G. G. and Skripnikova, N. K. and Sinitsyn, V. A. and Volokitin, O. G. and Shekhovtsov, V. V. and Vaschenko, S. P. and Kuz’min, V. I.
Askarova, A. S. and Messerle, V. E. and Ustimenko, A. B. and Bolegenova, S. A. and Bolegenova, S. A. and Maximov, V. Yu. and Yergalieva, A. B.
Komarov, S. G. and Stankus, S. V.
Mamonov, V. N. and Nazarov, A. D. and Serov, A. F. and Terekhov, V. I. The toc for this last issue N.6 is reported below for your convenience. Zhang, X. and Liu, T. and Li, X.
Wang, H. and Wu, Y. and Ouyang, H. and Tian, J. and Du, Z.
Chen, Q. and Wang, Z. and Chang, S. and Fu, J.
Hu, G. and Gao, S. and Zhong, Y. and Gao, B. and Subic, A.
Gao, J. and Cai, Y.
Kou, H.-j. and Lin, J.-s. and Zhang, J.-h.
Cao, H. and Haiwen, Y. and Zhao, M. and Jian, S. and Limei, Z. and Xin, G.
Geranmehr, B. and Vafaee, K. and Rafee Nekoo, S.
Cai, H. and Wu, Z. and Li, Z. and Xiao, T.
Askari, A. and Mortazavi, M. and Talebi, H. and Motamedi, A.
Liu, J. and Fang, J.-C. and Yang, Z.-H. and Liu, G. and Wu, J.
Lee, T. and Ko, L.
Liu, C. and Valencia, E. and Teng, J. Since the last newsletter Volume 122 has been completed and Volume 123 has been issued by the International Academy of Astronautics. The last volume, currently in progress, is number 126 and it is due for September/October 2016 (see journal page here). Volumes 124 and 125 are not announced yet. The toc at the time of this writing is reported below for your convenience. Liu, H. and Chen, P.B. and Sun, Q.Q. and Hu, P. and Meng, Y.C. and Mao, W. and Yu, D.R. 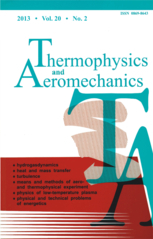 Sorge, Marlon E. and Mains, Deanna L.
Nag, Sreeja and Gatebe, Charles K. and Miller, David W. and de Weck, Olivier L.
Vigneron, Adam C. and de Ruiter, Anton H.J. and Burlton, Bruce V. and Soh, Warren K.H. Bastida Virgili, B. and Dolado, J.C. and Lewis, H.G. and Radtke, J. and Krag, H. and Revelin, B. and Cazaux, C. and Colombo, C. and Crowther, R. and Metz, M.
Della Corte, V. and Sordini, R. and Accolla, M. and Ferrari, M. and Ivanovski, S. and Rotundi, A. and Rietmeijer, F.J.M. and Fulle, M. and Mazzotta-Epifani, E. and Palumbo, P. and et al. Woods, John O. and Christian, John A. A reader is excited to share with us a few interesting recent announcements. For a scientist the ever increasing computational power allows to be optimistic about the possibility of tackling ever increasing complex problems in the years to come. For years there was a sort of rule of thumb that was used to predict how the computational power of future chips would reasonably evolve, that was the Moore's Law. This law, or better yet empirical observation, stated that the number of transistors in a dense integrated circuit doubles approximately every two years. Without going inside the complexities of CPU and integrated circuits designs, and barring vast amounts of transistors dedicated to legacy and interoperability operations, this meant for many decades an easy way to set targets and reasonable expectations. When certain dimension where reached however, simple technological and manufacturing process could not keep up anymore with Moore's Law, since other physical factors became preponderant that could be easily ignored when the manufacturing process was coarser than the few nanometers of today. For reference, the 14-16 nanometer FinFet products are currently mainstream for certain configuration already, i.e. in high-end smartphones and soon in more powerful devices like GPUs. These dimensions are becoming difficult to shrink further on, so for example in certain fields other techniques (i.e. asynchronous shading for GPUs) are used. It is understandable that many times critics had heralded the end of Moore's law in the past. But IBM with a recent announcement showed that possibly rumors of Moore's Law death were greatly exaggerated: in an announcement held recently in Paris, Intel announced that an old technology, Phase-Change Memory, has been sufficiently refined to be perhaps become exploitable in the immediate future. This is only the initial announcement. While similar announcements have been ostensibly false in the past, the weight of the announcer makes even the most skeptical of the experts adopt a wait and see approach. Maybe this is really a second coming for the Moore's Law. Another Technology giant, Google, has instead announced a new type of processor that names "Tensor Processing Unit", and that would bring in their expectations a jump of three generations in the field of Machine Learning. One analyst speculates that this processor could have the same impact of developing some algorithm for Artificial Intelligence on a traditional CPU, and then implement it in hardware with a FPGA- or ASIC-like design. Considering how dedicated chips for specific tasks (i.e. video encoding/decoding) can outperform general purpose CPU in performance for watts, it is not impossible to imagine some of this tools in UAVs, satellites and other similar devices dear to our readers. And in the field of machine and more specifically deep-learning, the recently released GP100 processor based on the new Pascal architecture seems to promise great advances at a "reasonable" cost. These new GPUs, with their dedicated communication network (NVLink, to overcome the current standard way of communicating between GPUs and between GPUs and CPUs, the PCI Express standard) will be shipping H2 2016, with some HPC centers already beta testing them in some configurations. NVIDIA is even selling directly to customers complete solutions calling them "Deep Learning Supercomputer in a box", see link here. Will any of these announcements have a profound impact in the future of scientific research? It is difficult to say. Advancements in micro-conductors technology are always welcome, while new processors types may not take the market by storm (see the Intel Xeon Phi technology that did not reach a widespread usage at every level of research, like, say, GPGPU computing). The following patents have been selected from the EPO database using the following criteria: "WORD = UAV AND PUA12 >= 20160101". In this case, this means all patents whose A1/A2 documents have been published after the fist January 2016, with somewhere in the text UAV for Unmanned Air Vehicle. Since patents can be filed towards different organizations, sometimes the data available in the EPO database (the version available for free online) is not the most complete. In that case an external link is used.